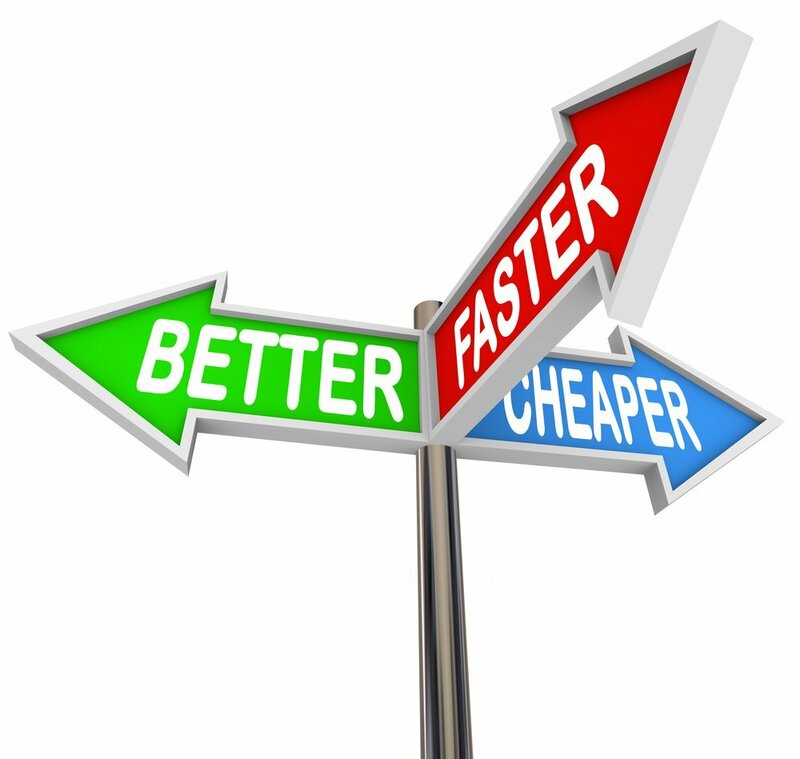 The most tangible benefit of good business process management is Cost Efficiency that can mean decreased costs and increased revenue. 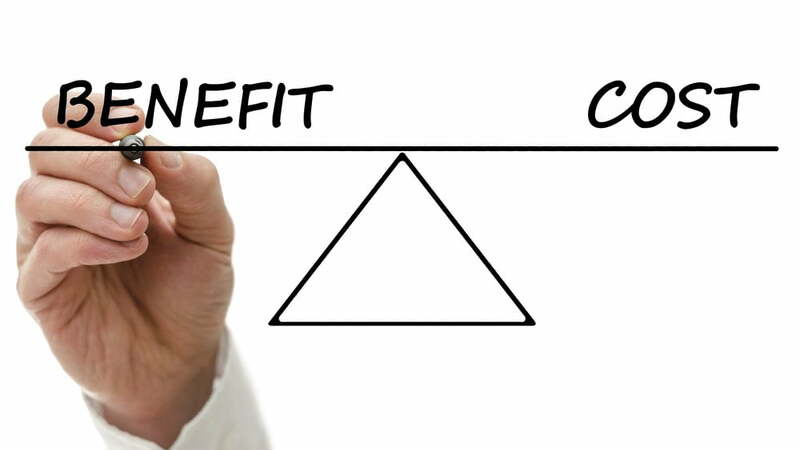 While the rest of benefits BPM delivers is intangible in the short term, they add crucial value in the long run, and help both small and huge companies with gearing up for worldwide competition. BPM technology makes any company better equipped to switch gears, respond to its changing business environment faster than competitors, and succeed! Please read ahead to learn in more details how BPM software can help you achieve your business goals while it simplifies how you manage business processes, handle change processes and drive projects to success. Simply slashing budgets is no longer a viable option in organizations that have become leaner in response to global economic conditions during recent years. There simply is not much left to cut. However, in order to thrive, organizations still need to maximize the efficiency of the costs they do incur and profit they generate. And good BPM is a driving strategy towards maximizing cost efficiency by streamlining business operations and collaboration, automating repetitive tasks, improving product quality and reducing corporate risks. 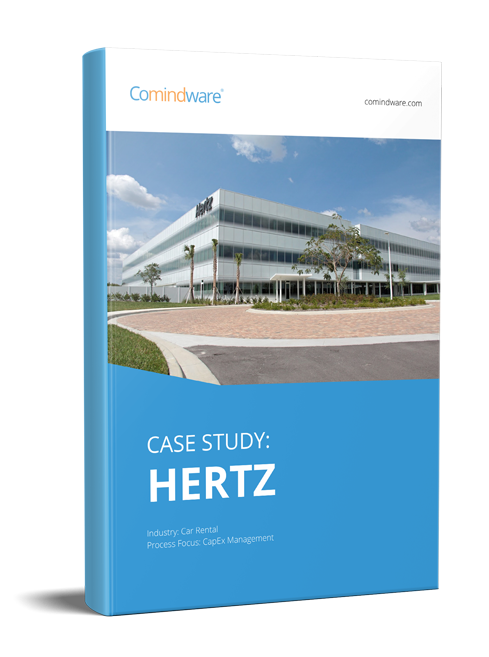 Comindware BPMS combines process management and workflow management with task management and built-in real-time reporting and analysis, so teams collaborate more effectively within both routine workflows and profit-generating projects and bring their projects to fruition within budget, with reported cost savings of 30% to 50%. 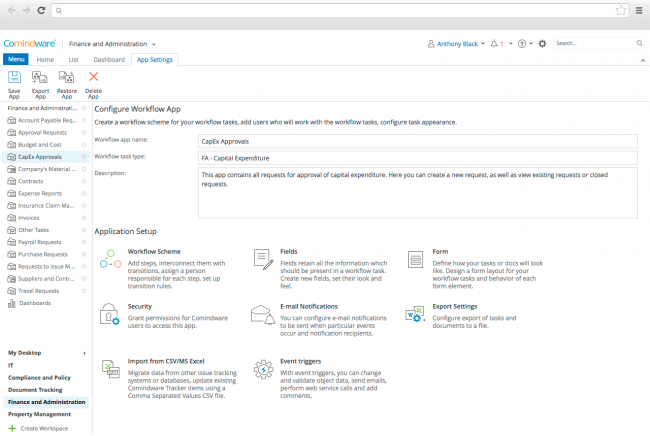 Process management: With Comindware BPM, process management comes in the form of workflows that you can change on-the-fly. You can re-use workflows wherever you need to and customize them as you go. Rule management: As work management moves into an unstructured, collaborative age, rules management will be the way to stay properly governed, visible, and compliant, while keeping processes on track. Comindware features on-the-fly rule configuration for each department, function or project (whether structured or unstructured), as needed. This provides unique flexibility not seen in other work management tools. Integration and automation: Comindware offers comprehensive solution that support process and case management as well as pre-integrated with Project Management. The fact that this all sits on one organization-wide database means that the company has full control, full visibility and full real-time reporting and analysis capability. Continual optimization and scaling. BPM system by Comindware enables quick-win implementation and non-code addition and modification of running processes. It allows for starting with simple automated workflows and growing incrementally with comprehensive business process management. Changes to legislation and other factors have meant that companies without a flexible system for handling end-to-end compliance can incur great, unforeseen costs, both in reporting and penalties. Within BPM systems, companies can build compliance into their business practices if department-specific applications are integrated with the organization as a whole. Comindware allows for full integration with function-specific, 3rd party applications that are also tied to an organization-wide database. This makes it possible to produce automated reports that demonstrate compliance in a cost-efficient way. Savvy customers are demanding thorough proof-of-concept (POC) processes that document how their needs will be heard through self-service Web 2.0 capabilities. 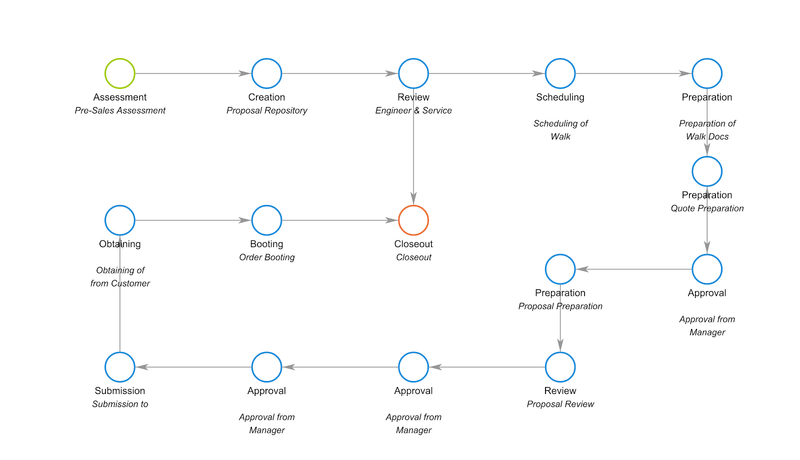 Business process management helps organizations to combine people with technology to acquire and retain satisfied customers and Comindware lets organizations include any desired user (read: customer), with easy-to-program security roles. This paves the way for ongoing, real-time collaboration with customers in a way that proves responsiveness, personalization, customization and access to information. Organizations continually try to sustain a rewarding working environment that motivates their staff. Business processes that are developed and documented help to motivate team members, dedicated professionals who generally don’t want to waste time or money. Because Comindware leads to better team collaboration with full visibility, team members report higher satisfaction because they can focus on their tasks while having all the information they need in one place; meantime managers have real-time visibility into what’s going on. Could your organization benefit from improvements in the following areas? If so, then get advantage of work management software, which delivers a full set of tools and services that apply workflow structure to information and workers so that processes are streamlined and performance is improved. Business Process Management (or BPM) is a core subset of effective work management and the question why business process is so important doesn’t burn any more. 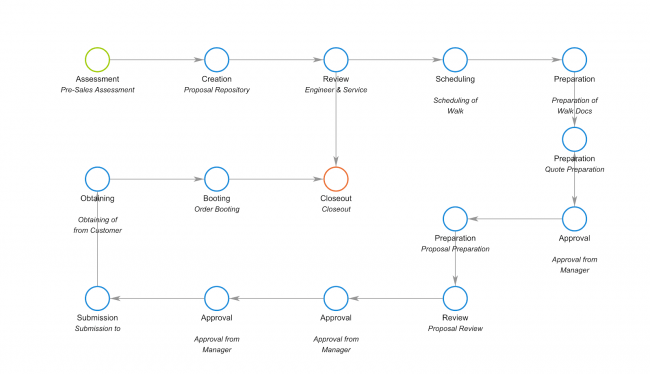 By the way, don’t confuse BPM with BPMN; BPMN is a modeling and notation standard that makes it possible to manage business processes well. Some companies already have BPM systems. But, after the BPM initiative is in place for a year or two, professionals in these enterprises are usually frustrated by how difficult it is to change processes, and are surprised by the degree to which colleagues use “work-arounds” for unstructured projects that arise. When formal business processes cannot be changed easily, or when the team isn’t using the formal processes for all work, then visibility, agility, organizational learning and market response times all suffer. Comindware low-code BPM software enables non-technical users (Top-managers) to change business process easily, make sure that company stuff doesn’t need “work-arounds” for projects that occasionally arise and stay effective!